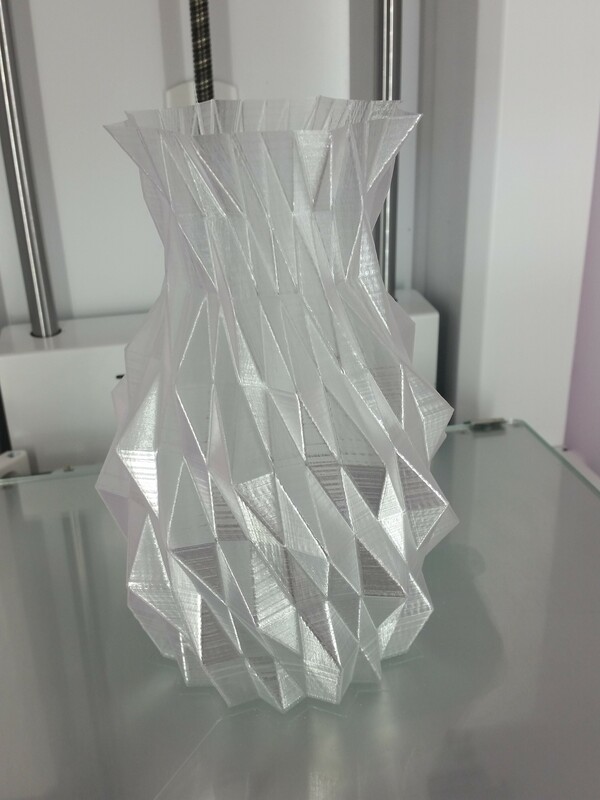 Great, first print in XT material, and we needed a vase! Created a vase in Blender, as we didn't have any for flowers. 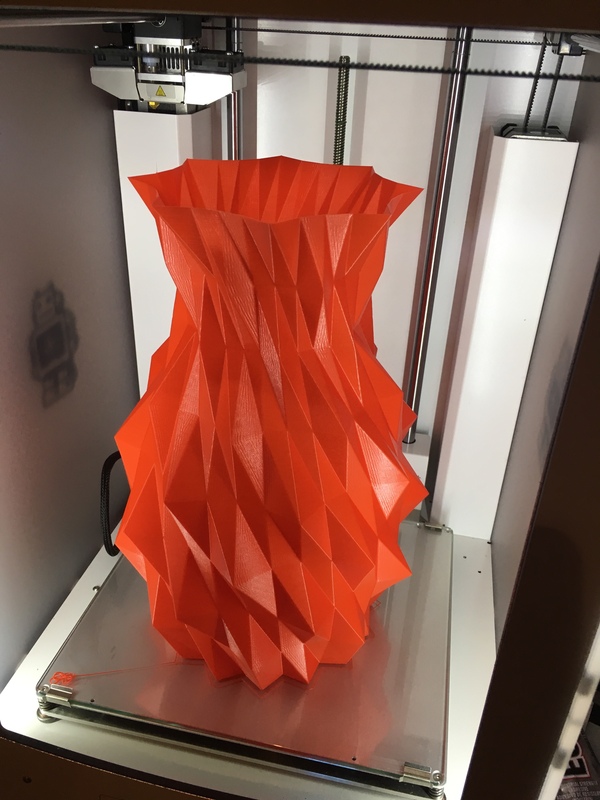 This printed great first time with ColorFabb's XT material, never used it before. 60mm/s, 250C extruder, 60C bed with glue stick and some brim, 0.25 layer height, single walled spiralised, no infill, no top, 0.8 bottom thickness. Took just under 1hr to print. Needed to rinse the build plate with cold water to remove as I didn't want to damage such a great first XT print! When filled, water will bead on the surface, but you can put a clear freezer bad inside and fill it instead.